The research explored the key attributes which tempt hospitality workers to explore new pastures. Findings demonstrate that career progression is the most important factor (16 per cent) showing employees want long term prospects within a company. Surprisingly, salary (14 per cent) came in second, followed closely by training & development (13 per cent) – showing staff want to feel invested in by their employers. The hospitality sector is big business and the UK’s third biggest employer, providing jobs to 2.9 million people (7 per cent of the working population). The industry is facing increased staffing and recruitment pressures due in part to uncertainty ahead of Brexit. The survey of over 21,000 hospitality workers from across the globe highlights the importance of employment progression for retaining staff in what can often feel like a seasonal or transient industry. The fast-paced nature of hospitality is a key draw for 12 per cent of workers, while teamwork ranked highly for 14 per cent of those surveyed. The sector has seen a reduction in apprenticeships since the Apprenticeship Levy was introduced in 2017 with a low uptake from small businesses and in turn, less opportunities have been available for young people to enter the industry. The Autumn Statement saw the chancellor announce that the Government will half the amount small businesses have to contribute from 10 per cent to 5 per cent when taking on apprentices. – a move hoped to increase industry apprenticeships and on the job training. Turkish-grown hospitality brand Rixos Hotels has opened its first resort in Abu Dhabi. 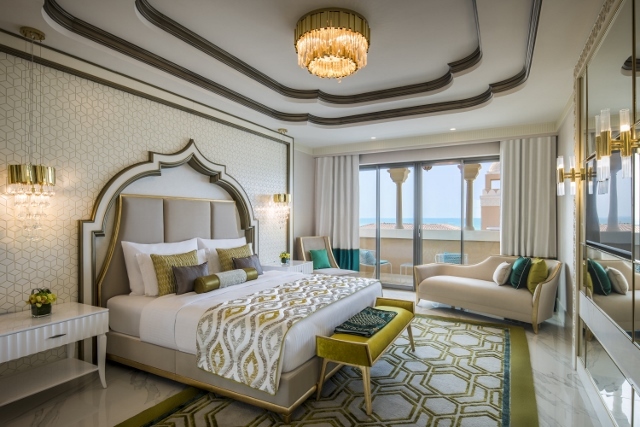 Rixos Saadiyat Island prides itself on offering ‘pure luxury’ in an opulent setting, inspired by the palaces of the Ottoman Empire, with dazzling interiors reflecting gemstone shades of green, blue and turquoise throughout. Situated on Saadiyat Island, the resort is expected to become the most successful, fully integrated resort in the Emirates. Rixos Saadiyat Island boasts a water park complete with wave pool for all ages and a children’s Aqua Park to keep the little ones happy. Nestled away within the resort’s verdant gardens, Rixos Saadiyat’s Spa is inspired by the age-old wellness customs of Turkey. The dramatic design reflects traditional Ottoman architecture to create a truly luxurious indoor and outdoor sanctuary where guests enjoy complimentary use of the facilities, which includes a steam room, sauna, a private outdoor pool, and an ice room. 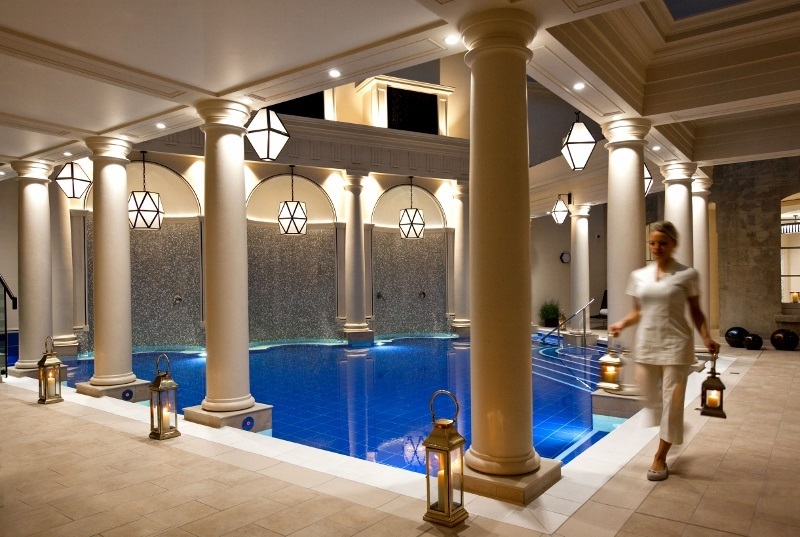 A collection of luxury treatment rooms and a traditional Turkish Hammam await those who wish to book a pampering spa treatment, with expert therapists on hand to restore balance for mind, body and soul. Following the opening of Rixos Saadiyat Island, Rixos Hotels will operate four hotels in the United Arab Emirates –Rixos Premium Dubai, Rixos The Palm Dubai, Rixos Bab Al Bahr and Rixos Saadiyat Island. 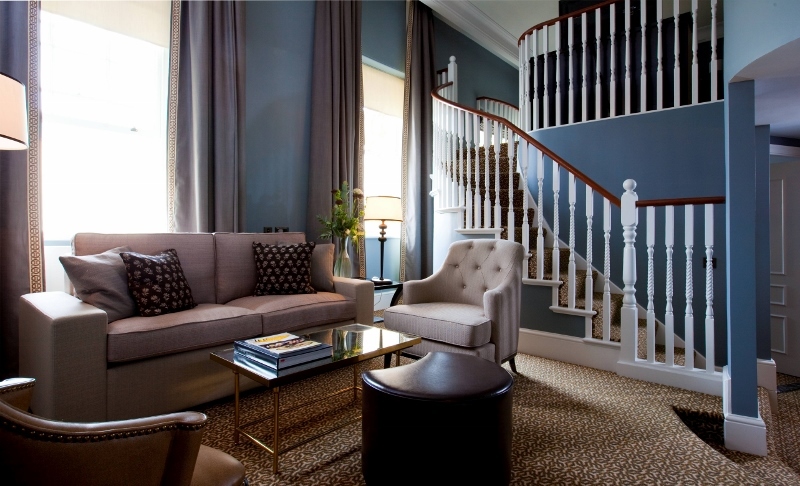 Brintons supplied carpets for key public areas within Kimpton’s first London hotel, formally known as The Principal London. 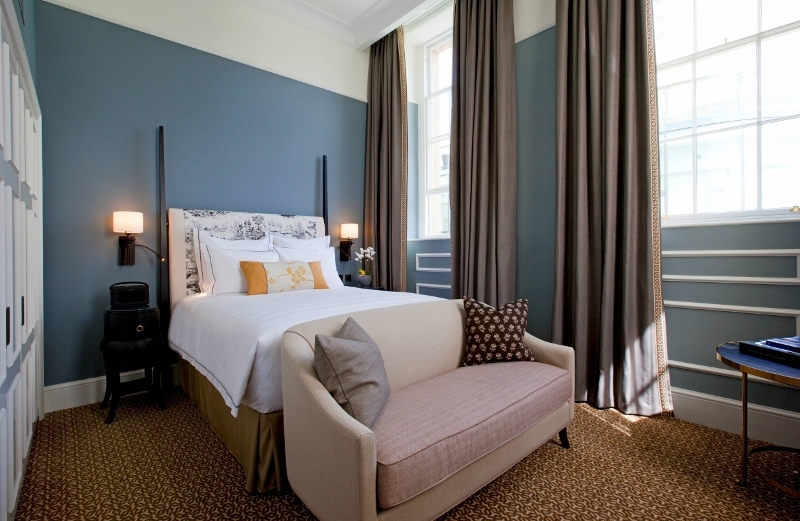 Sheltered within a Grade II listed landmark building, which now dominates the area as a five-star hotel on the eastern flank of Russell Square in Bloomsbury, the now Kimpton Fitzroy London, which re-opened as The Principal London in April 2018 after undergoing a multi-million pound renovation and only recently rebranded as an IHG hotel, features a bespoke, contemporary carpet design in the key public areas within. The pattern features a strong linear border, bringing a modern element that harmonises with the period of the building. 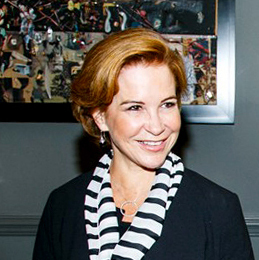 The interior design renovation was led by Tara Bernerd & Partners and Russell Sage studio. 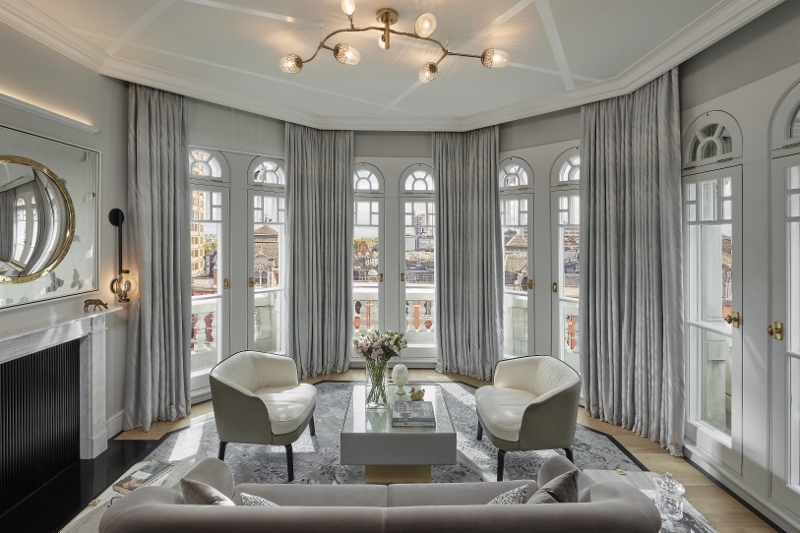 The designers chose to use cream drapery with light and feathery fabrics and featured artwork that responds to the Bloomsbury neighbourhood’s artistic and literary heritage. 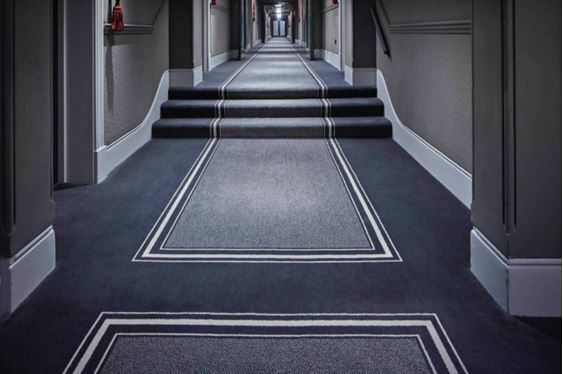 Working in harmony with the design brief, Brintons created 4,600 sqm of bespoke carpets for the hotel’s corridors from floors one to eight, including the main staircase and the gallery. The carpet features a steel grey and neutral colour palette, which complements the sophisticated and contemporary interiors. 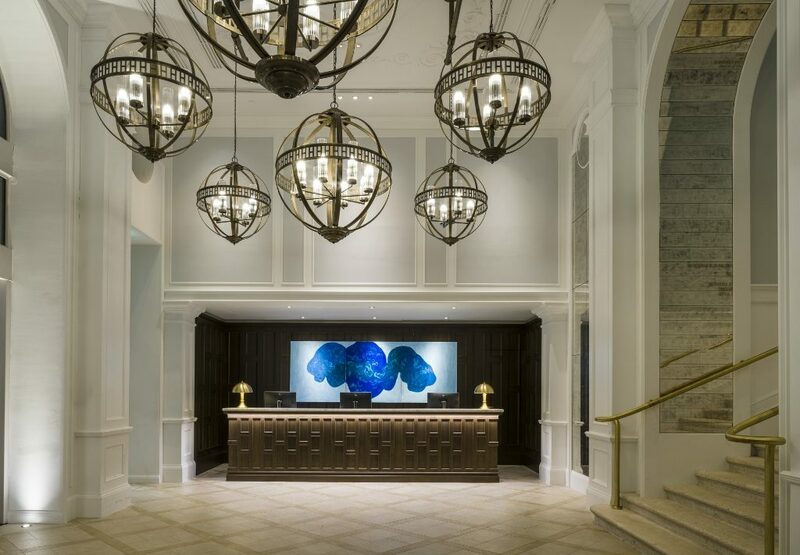 The three-year renovation, overseen by the Principal Hotel Group, has successfully maintained many stylistic elements of the hotel’s exciting past through the interior décor. 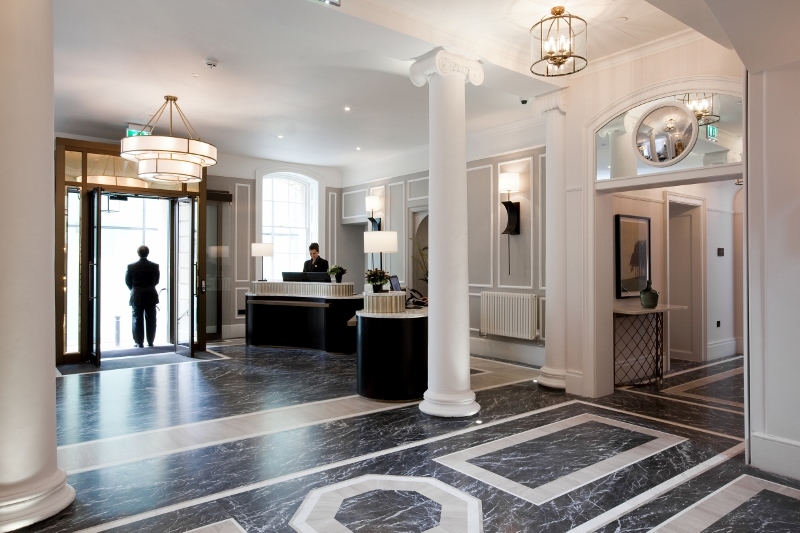 The hotel features more than 300 rooms and suites and is close to many central London destinations, including the British Museum and Lamb’s Conduit Street. 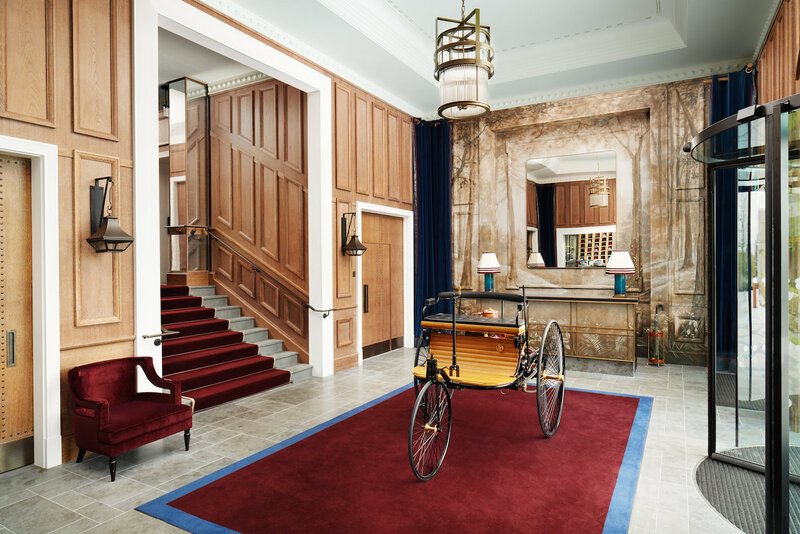 The newly unveiled Kimpton Fitzroy London is named after the original architect of the building, Charles Fitzroy Doll, a significant figure of British architecture in the Victorian and Edwardian eras. 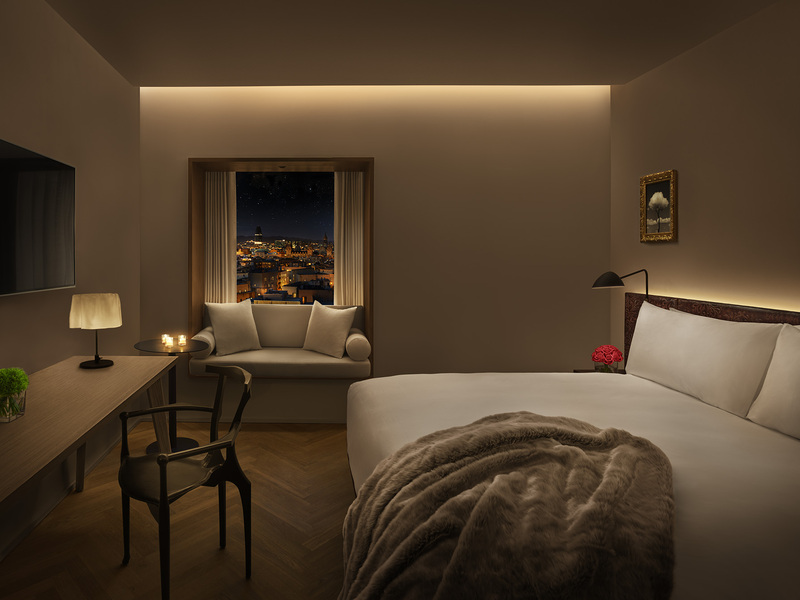 Next year will see even further growth of the Kimpton brand, with additional openings in tier-two cities including Edinburgh, Glasgow and Manchester. The brand also recently announced its debut in Bangkok, which is slated to open in 2020. 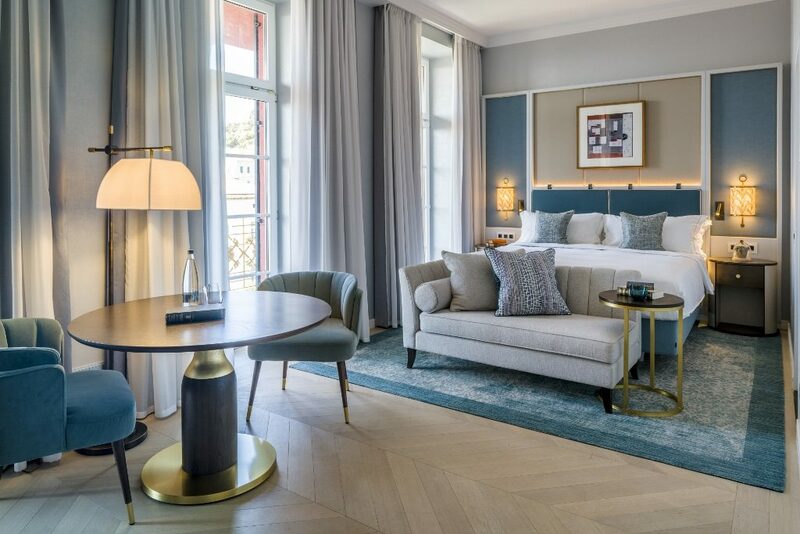 As the Independent Hotel Show creeps nearer, we have identified three major themes that visitors should expect to see at this year’s event. Hotel Designs is a media partner for the Independent Hotel Show 2018. To meet the Hotel Designs teams at the show please visit stand 628. 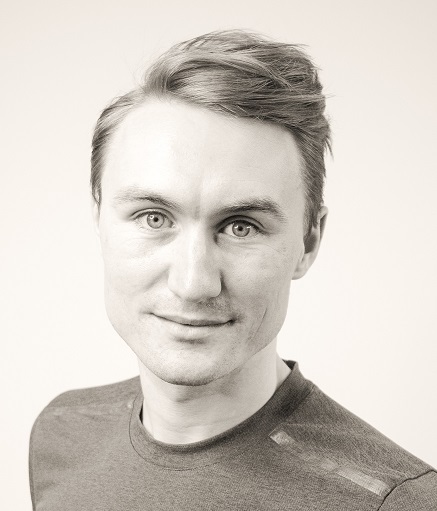 Editor Hamish Kilburn will be hosting a panel discussion entitled ‘Power Hour: Designs For Life’ at the show, for more details please click here. Referenced in a press release by the bathroom manufacturer, grey is also becoming more popular in the bathroom, as exposed concrete or tiles in a range of grey shades, soft grey wall paint through to dark anthracite tones and accessories are today’s trends. Grey provides a perfect contrast in combination with wooden furniture; in interaction with sober colours such as the new Duravit furniture colour matt concrete grey it underlines a uniform, timeless look. The Stonetto shower tray, too, is setting the tone in colour terms: in addition to the stone shades white, sand, and anthracite, the successful collaboration between Duravit and the Viennese design group EOOS is now available in the colour concrete, which creates a new and fresh effect within the room. The barely visible slope of the tray enables water to drain away perfectly. Even large quantities of water flow quickly through the powerful drain. The homogenous covering enables ease of cleaning. Stonetto can be installed flush with the floor, recessed or floor-mounted. 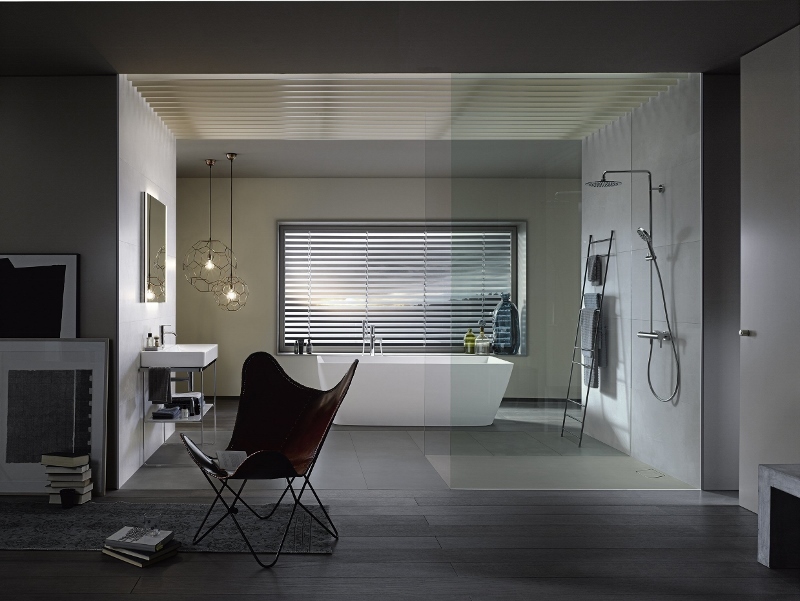 Duravit also supplies Stonetto in twelve sizes. Duravit are one of our recommended suppliers. To keep up to date with their news, click here. And, if you are interested in becoming one of our recommended suppliers, click here. 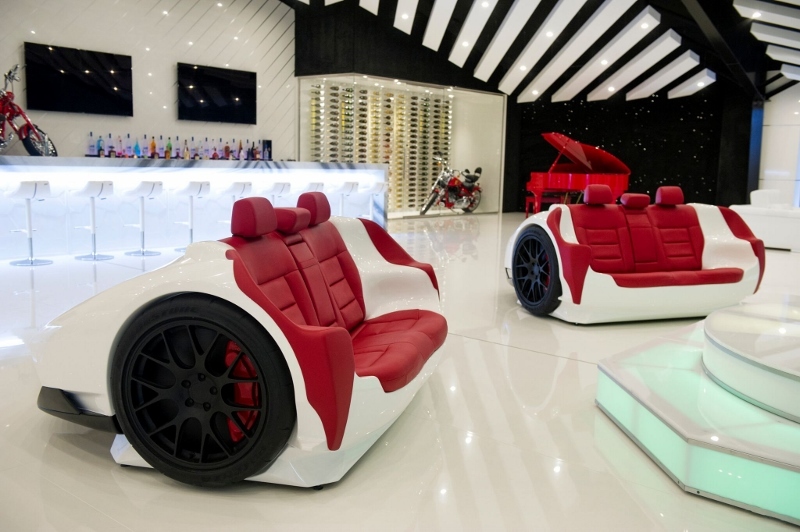 Throughout this week, we have had a bit of everything – from flooring trends to Lamborghini sofas, from VR insights to hotels inspired by nature. This is somewhat not surprising considering the two vast topics that we’re shining the spotlight on this month. Here are this week’s top five stories. 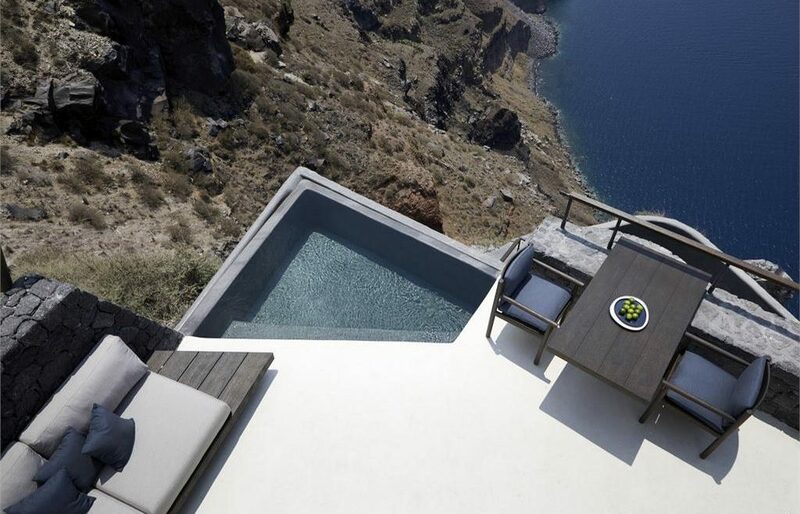 With a noticeable nod to nature, Son Brull in Mallorca has completed the design of two brand-new villa suites. The two-bedroom villa suites are situated in the hotel’s idyllic gardens and offer the ideal combination of space and privacy while remaining fully serviced. Located in the northern Mallorca near Pollensa, the family owned and managed hotel is housed in a former monastery that dates back to the 12th century, in a peaceful rural setting for guests looking to disconnect and spend some quality time surrounded by nature. 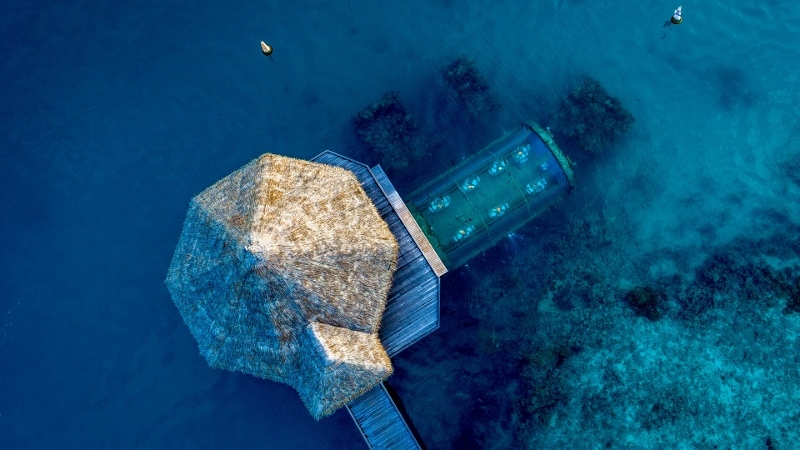 Next month, Hotel Designs will be digging beneath the surface to uncover the most extraordinary hotels from around the globe as we celebrate the weird, the wonderful and the very brave world of Hotel Concepts. 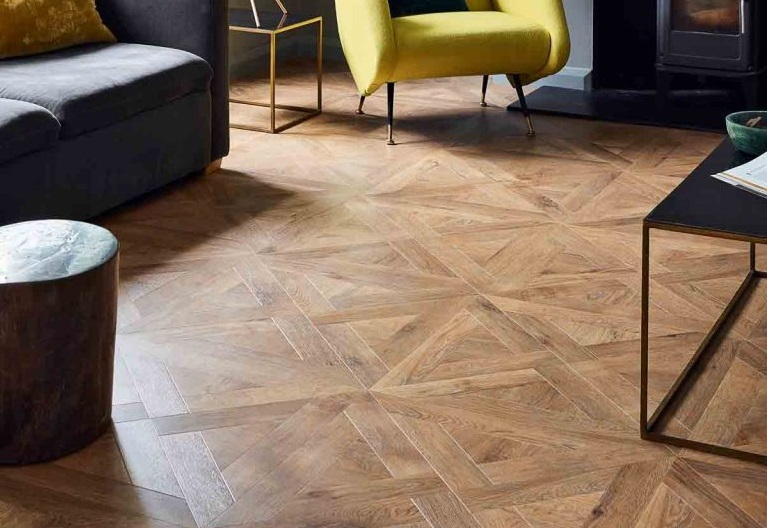 In addition, we will be laying down all the latest from flooring and carpets as many flooring suppliers gear up to present their latest collections at London Design Week in September. The editorial team at Hotel Designs is always on the hunt for bold hotels that unapologetically stand out from the crowd. Next month, we want to celebrate these fine examples of truly exceptional spaces by revealing the craziest hotel concepts from around the world. 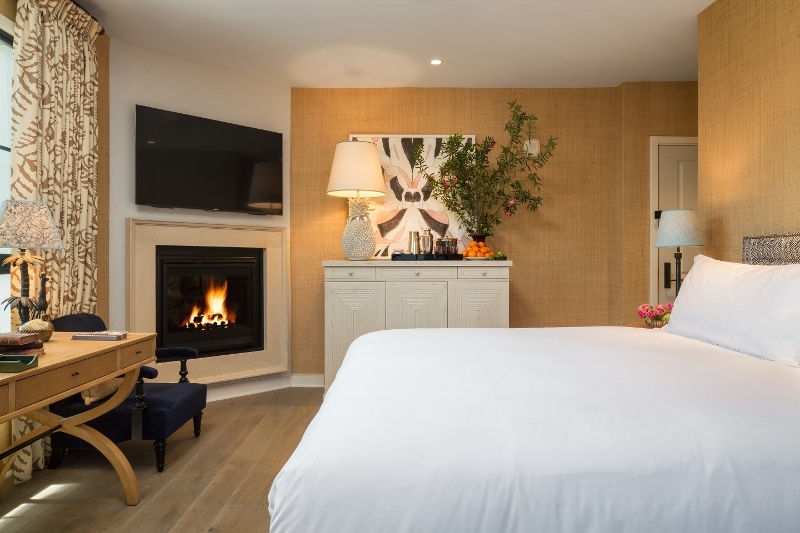 We’re looking for overnight accommodation that completely challenges conventional hotel design. Technological advances in flooring manufacturing continue to dictate the trends. 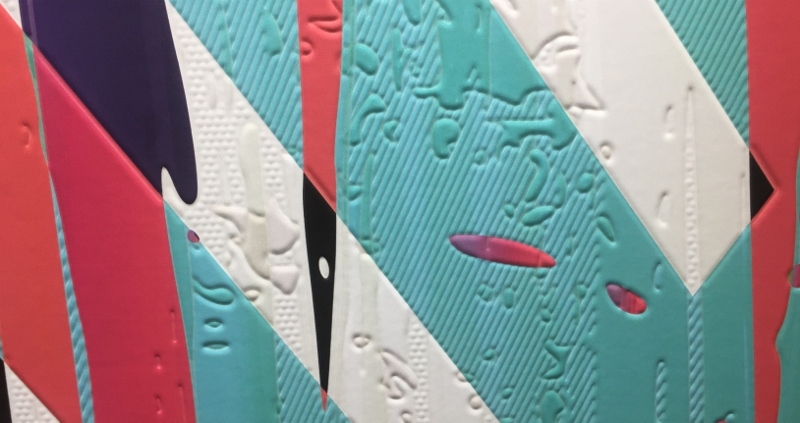 Vinyl can now mimic hardwood, stone, concrete and much more, while random-coloured woods – or replications of wood in vinyl or laminate – marry together to create an interesting and playful look and feel. Waterproof carpets are making a splash with their durable qualities making it ideal for heavily used areas in hotels. 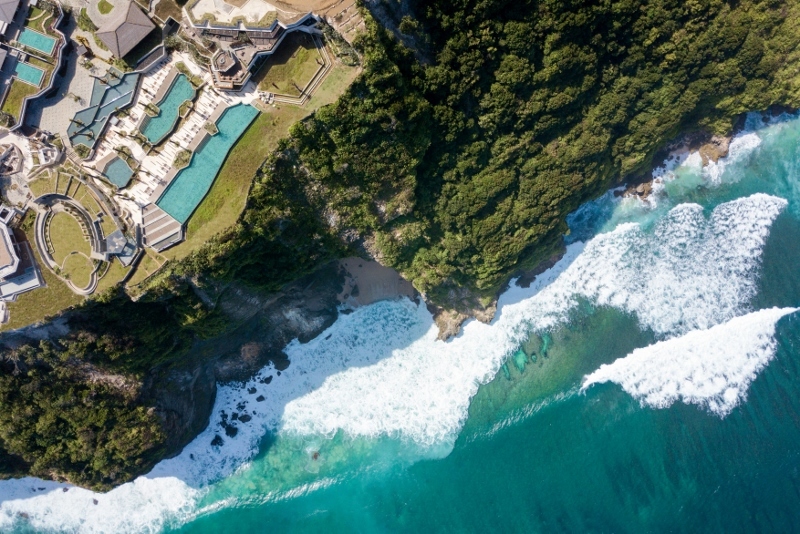 Many companies are choosing to go ‘carbon-neutral’ in an effort to be more green, and abstract patterns are making their way to the front with a number of companies using aerial shots as inspiration to create some truly unique products. Phoebe Kasapi has been appointed as media sales executive at Hotel Designs, marking the continued growth of the leading hotel design website for interior designers, architects, hoteliers and industry suppliers. 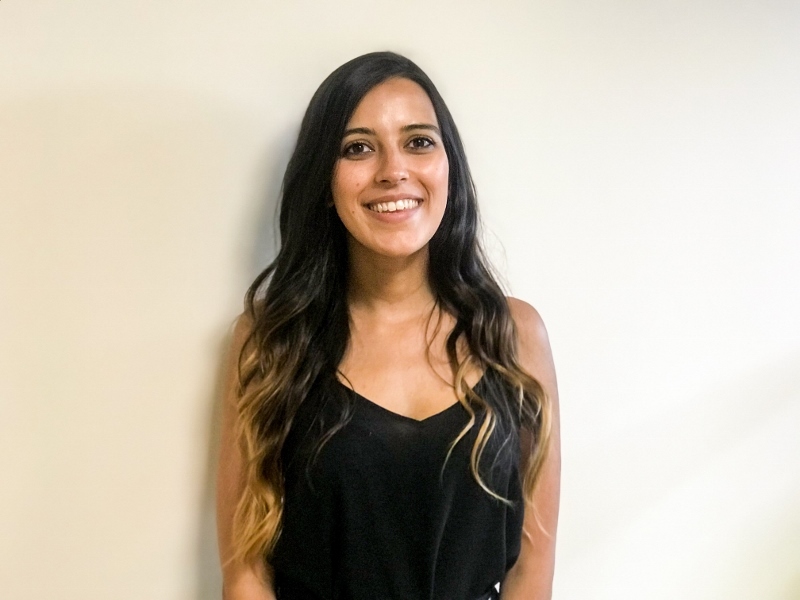 Having previously worked for Sky Media as a sales assistant, Kasapi brings with her to the role a wealth of experience in order to help grow the business, service clients and monitor campaigns. Kasapi will work across all of the publication’s key products as well as working closely with our recommended suppliers while establishing relationships with interior designers, architects and hoteliers. 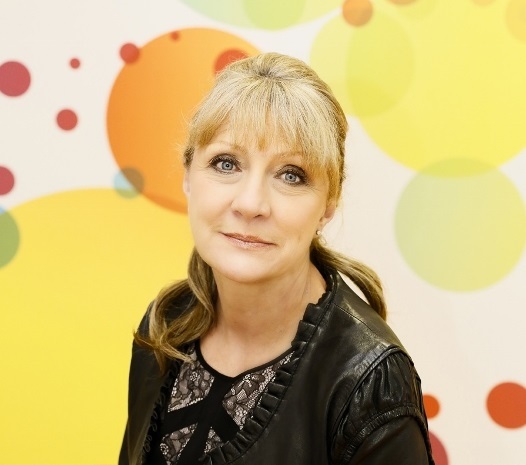 In addition, she will play a key role in the Hotel Designs Brit List 2018, which now includes a host of awards to recognise industry greats. If you are attending our Manchester Meet Up next week on July 18th, then please look out for Phoebe and the rest of Hotel Designs team. Hotel Designs is delighted to announce that it has become an official media partner for designjunction 2018. 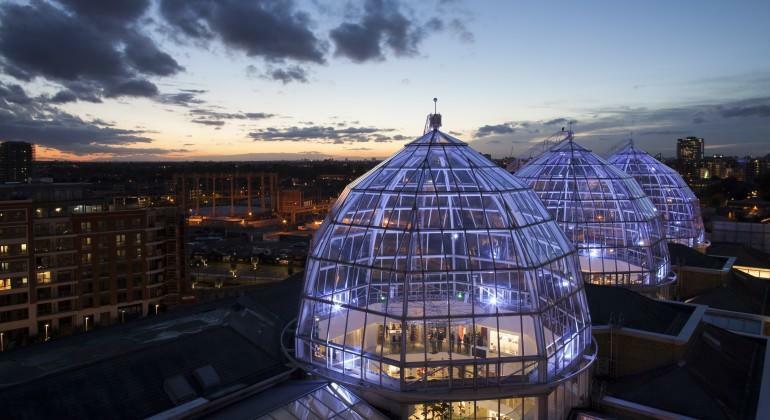 Connecting the world’s most renowned design brands, designjunction will take place this year between September 20 – 23 around the South Bank, one of London’s most well-known cultural hubs. 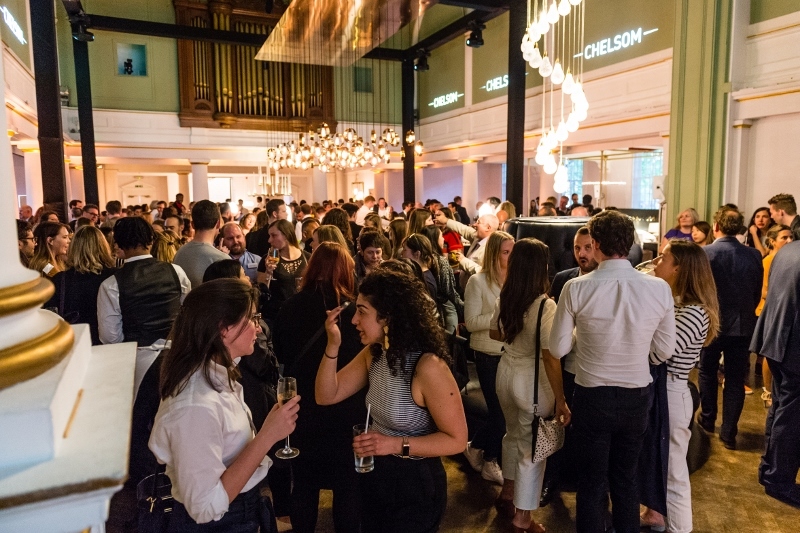 As an official media partner, Hotel Designs will work in collaboration with the designjunction to cover the event from an editorial perspective, amplifying product launches, discussions and key emerging trends. 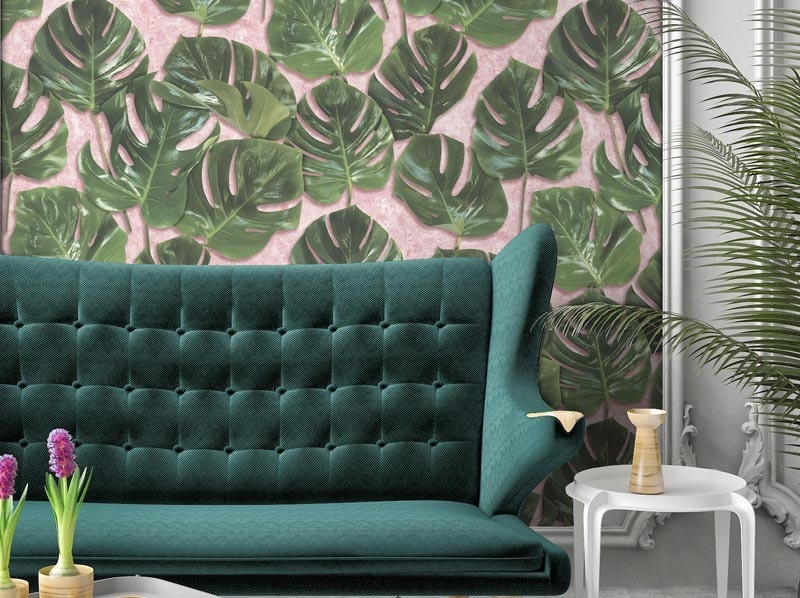 Delegates attending this year’s designjunction can expect to see showcased a mix of international furniture, lighting, accessory, material and technology brands alongside pop-up shops, installations, and interactive features. designjunction presents more than 200 of the world’s most iconic design brands to the world’s leading design professionals. 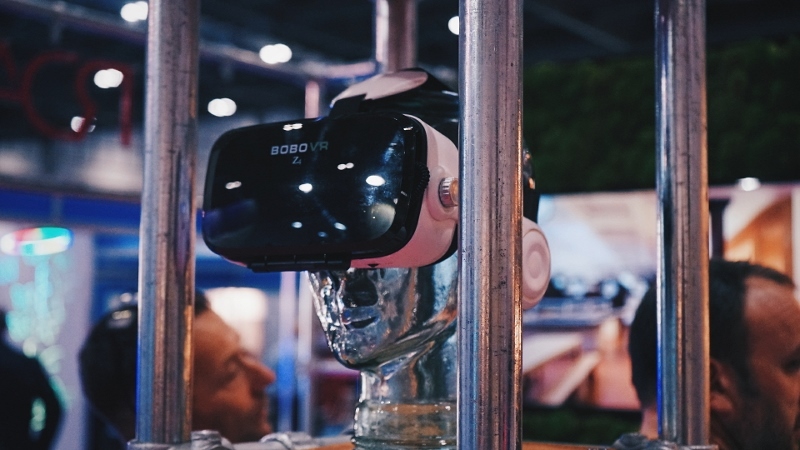 Written in its name, the event is a junction that helps connects the industry, and is a place to meet, do business and be inspired. For more information on designjunction, and what to expect this year, click here. 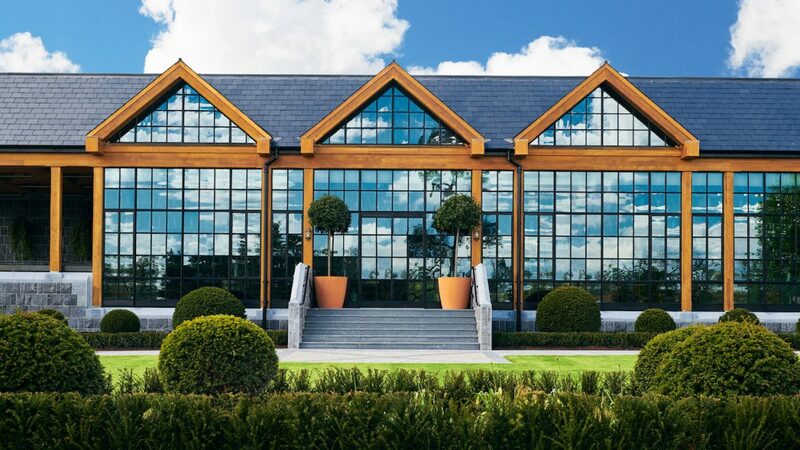 Our top performing story of the ween, the glorious playground of country pursuits Gleneagles, located just 40 minutes from Edinburgh, has launched Ochil House, a unique new meeting and events space. 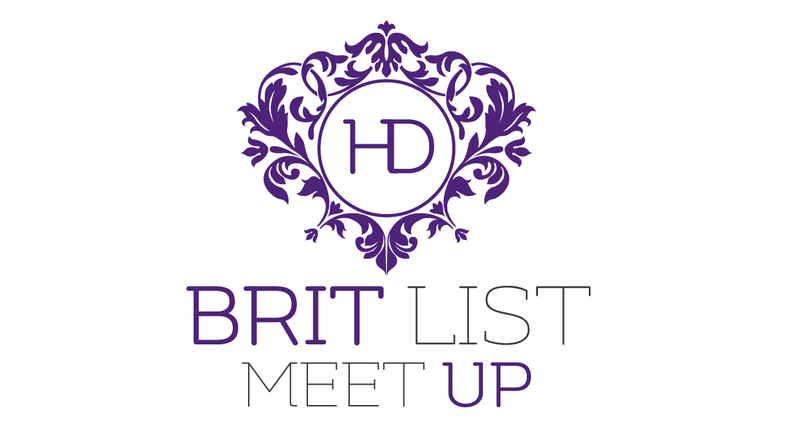 Following much anticipation in the industry after launching last year, Hotel Designs Brit List will return in 2018 with an evolved concept that will further amplify the best hotel design influencers in Britain. 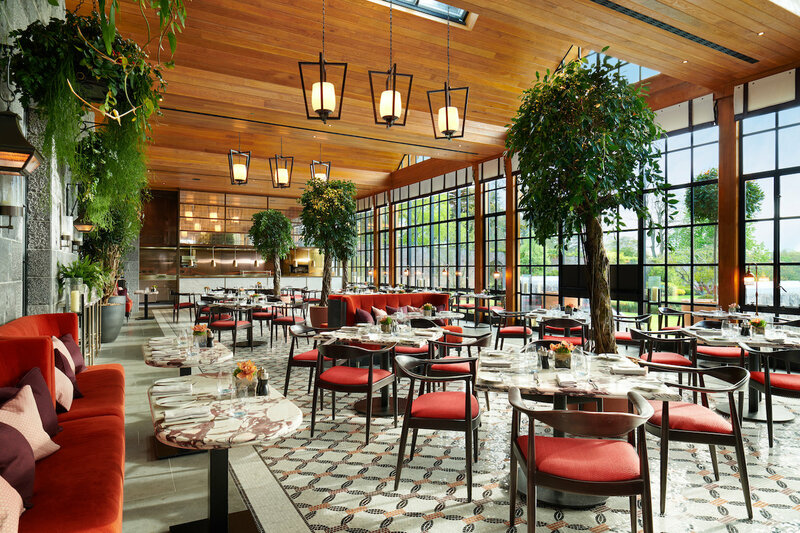 This year, as well as celebrating the Top 25 of the most influential hoteliers and the top 25 of the most inspirational interior designers, The Hotel Designs Brit List will also launch six coveted awards that are up for grabs. 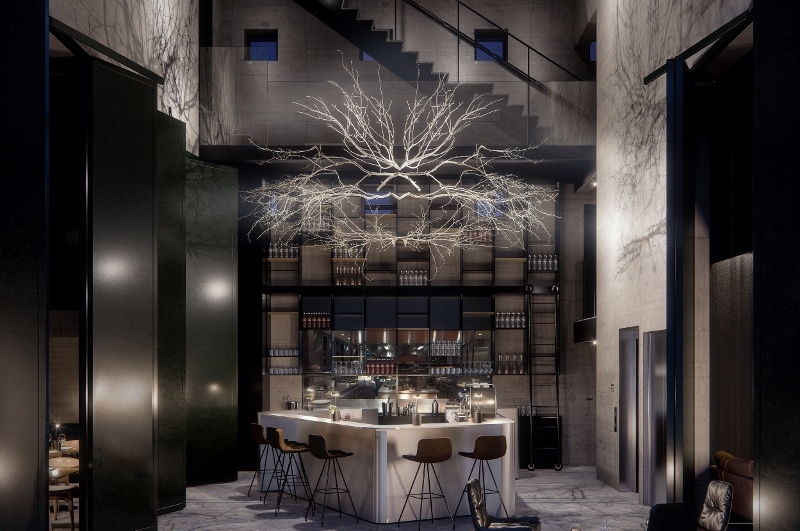 The latest addition from Swire Hotels, The Middle House, provides guests with an intimate and urban sanctuary in Shanghai, one of the world’s most dynamic cities in the world. The glorious playground of country pursuits Gleneagles, located just 40 minutes from Edinburgh, has launched Ochil House, a unique new meeting and events space. The 850-acre estate, which has been a destination for gatherings and historic meetings since 1924 – including the 31st G8 summit in 2005 – is a place of lively celebration and animated conversation. 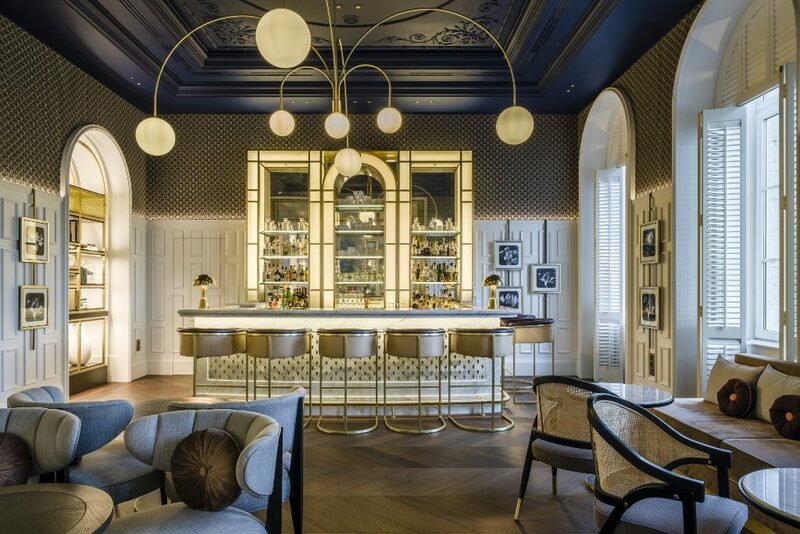 Ochil House, the latest strand of the hotel’s investment programme, pays homage to the inventors, dreamers, pioneers and partiers who helped shape Scottish history. Inspired by the original private members clubs, Ennismore Design Studio has carved out each of the six rooms available to hire to create light, open and refined meeting spaces. 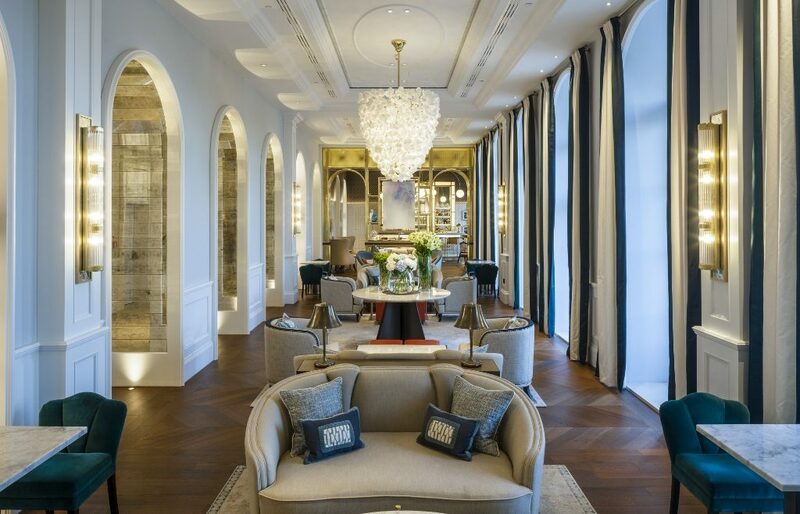 Named after their original rooms in the hotel – including The Card Room, The Reading Room, The Writing Room and The Broadcasting Room – these spaces give an appropriate nod to the hotel’s storied history. The design team sourced British and French antiques and used the finest fabrics, materials and bespoke craftsmanship to blend country-house tradition with a warm, relaxed atmosphere and contemporary touches. Contrasting to the traditional look and feel throughout the corridors, lobby, Century Bar and The American Bar which were designed by David Collins Studio last year, Orchil House offers a home-from-home experience with wooden flooring, which juxtapose to the green-carpeted hallways of the hotel, that leads to the light and airy rooms. Image caption (Left to right): Gleneagles exterior, Orchil House hallway, The Pantry, The Drawing Room, The Estate Suite, Guestroom. 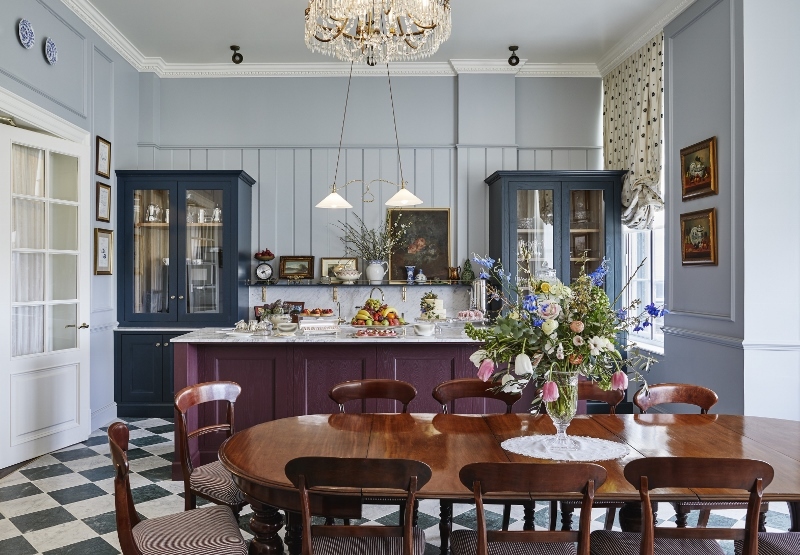 The relaxed kitchen area is similar to a traditional country-house pantry, with a muted blue colour palette and plenty of natural daylight. The homely and stylish break-out space provides a more informal atmosphere for guests to network around the kitchen table. 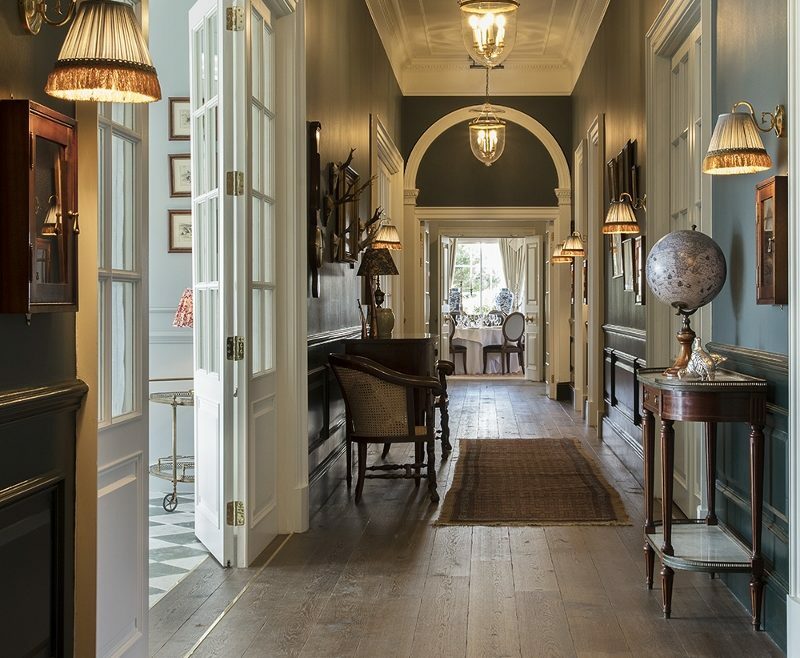 The most elegant room in Ochil House is reminiscent of a grand drawing room in a traditional country house and offers private access to the Garden Café Lawn. Overlooking the putting green and the croquet lawn, it boasts some of the best views from Gleneagles, and a south-west-facing aspect provides an abundance of natural light. With echoes of a library or smoking room within a stately Perthshire property, The Broadcasting Room takes its name from an original space within the hotel. The original broadcasting room famously transmitted Scotland’s first ever outside radio broadcast – regarded as a technical miracle at the time. The new room provides a traditionally-styled and inspiring setting for boardroom meetings and intimate private dinners for up to 14 people and has direct access to The Pantry. 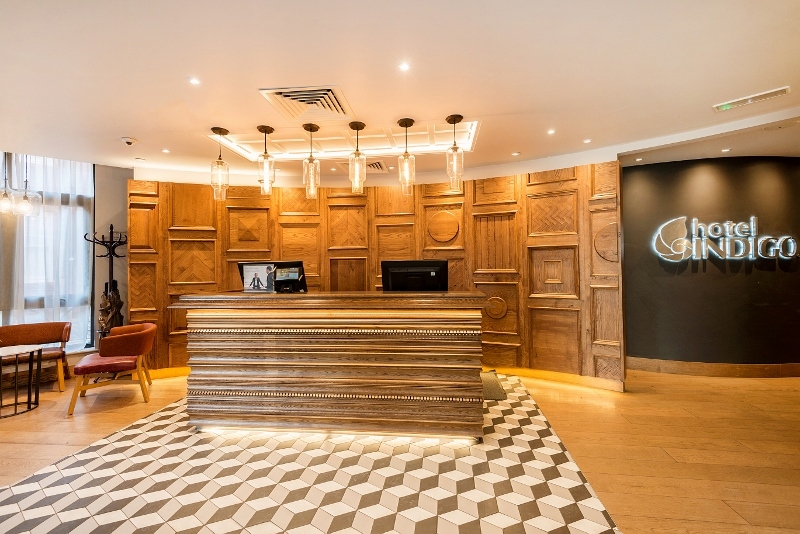 Now under new ownership with Ennismore, the unveiling of the meeting areas follows the aim to create a timeless look and feel that lives up to the modern business traveller of today. To register your interest, contact Phoebe Kasapi on 01992 374059 or via email by clicking here. Instructions on how to nominate will be unveiled soon. 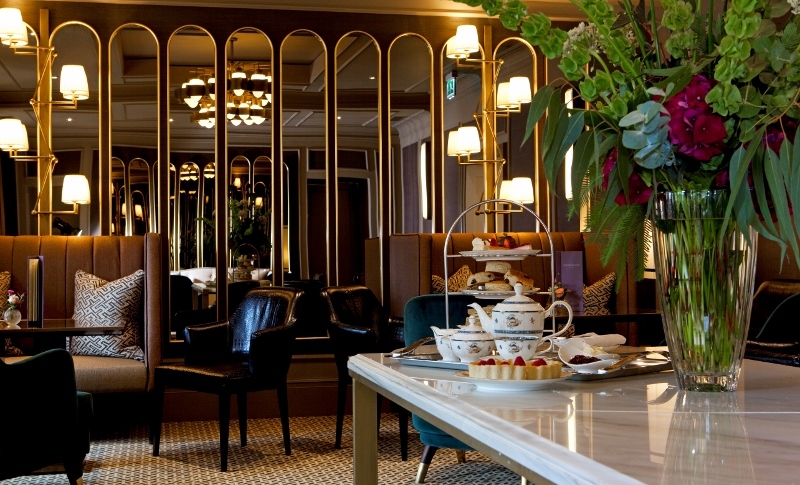 Recalling the tradition of grand hotels, The Murray Hotel has opened in Hong Kong in a 1970s period building. 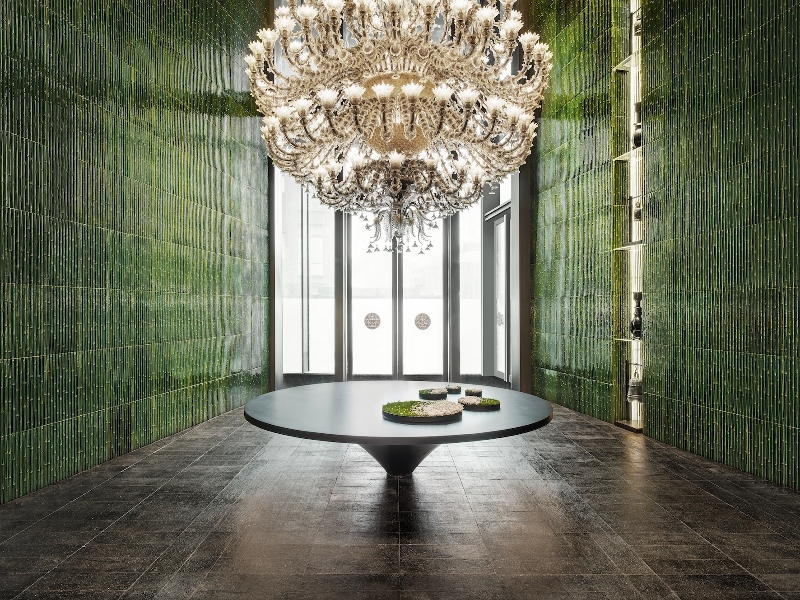 Award-winning design firm Foster and Partners has been responsible for the restoration and renewal of the emblematic building – including its interiors, creating a unique destination for Hong Kong. Defined by its distinctive three-storey arches and unique recessed windows, the original structure was designed by British modernist architect Ron Phillips in 1969, and is seen as an early pioneer in sustainable and energy efficient design. 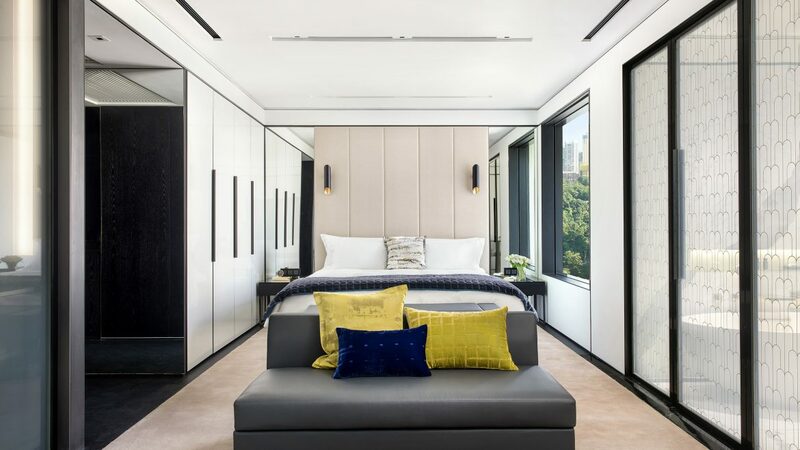 Led by Colin Ward in Hong Kong and Armstrong Yakubu in London, Partners at Foster + Partners, the new design retains elements of tradition and adapts to the needs of sophisticated contemporary living and discerning global travellers. With the primary focus being to enhance the relationship of the building with the surrounding landscape, “the ground plane is much more important than the height of the building,” adds Ward. “The design therefore, opens up the base of the building, which creates new connections between Hong Kong Park and the Botanical Gardens. 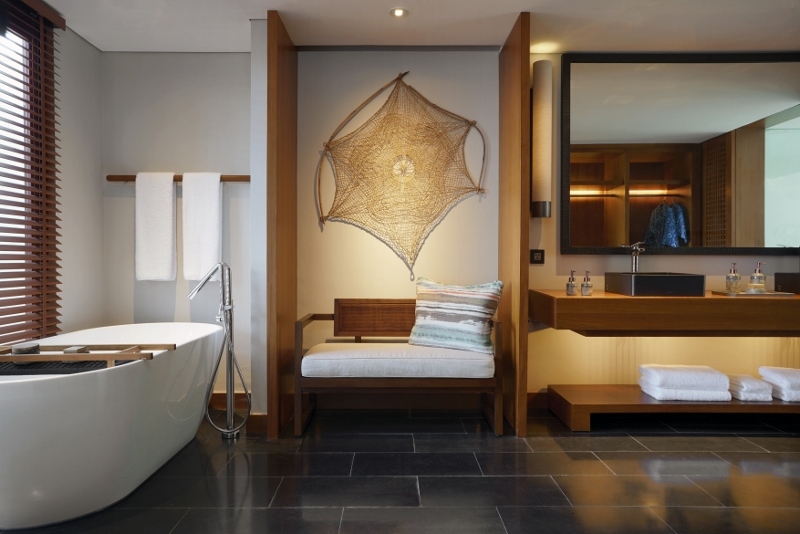 Evoking a contemporary look and feel, the bathrooms highlight simple and elegant features. Warm metals in the tap fittings marry up with large mirrors and white- and black-marbled surfaces. Bathroom specialist Laufen has expanded its Kartell range, which now includes elegant new washbasins with a variety of vanity unit combinations, new decors for the floorstanding washbasin, new furniture elements, a rimless floorstanding WC-combination and a free-standing bathtub. First presented to the public in April 2013, Kartell by Laufen embodies a complete synthesis of the values and distinctive characteristics of the two companies: design excellence, innovation, quality and functional efficiency, all interpreted to bring a new dimension to bathroom furnishings. In the Kartell by Laufen collections, design and technology find a dynamic balance which produces unexpected, flexible, versatile solutions. The products rely on a fresh, living language, surprising for its daring, always sustained by a concrete foundation based on research, experience and experimentation. Clean forms and well-gauged expressive minimalism are the key traits of the new collection, now enhanced by four new built-in slim washstands, featuring a slender, elegant border, with a discreet squared design. Made with fine fireclay, a very hygienic and strong ceramic material, they have precise edges and smooth planar surfaces, extending to 600mm in the largest version. These washstands are available in a range of solutions complete with cabinets with large drawers. The new entries also include two rimless floor-standing WCs, which provide an efficient, practical and hygienic solution, including a combination floorstanding solution. The existing range of bathtubs expands with a fresh, new freestanding version, with a built-in overflow valve. Its elegant silhouette, made in Sentec, has minimal thickness like that of the washstands, and rounded ergonomic lines that form a contrast with the more austere geometric design of the other models. The collection also includes a new series of storage modules, columns and hanging cabinets, designed to make optimal use of space in the bathroom and to create a sense of perfect harmony between the ceramic fixtures and the furnishings. In particular, a side board cabinet with an extremely small depth (270 mm) has been created, offering an ideal solution for small bathroom spaces. Behind all the creations of Kartell by Laufen there is a tenacious effort to intercept and respond to the widest range of needs of a variegated, multifaceted and international public, in search of innovative, efficient and emotionally engaging solutions. Thanks to this approach, Kartell by Laufen is regularly specified in major contract projects all over the world, collaborating with leading architects at the highest levels. This success has led to the continued expansion of a distribution network that now covers a total of 1,000 points of sale on a global scale. The Kartell by Laufen brassware line perfectly combines high-quality design with perfect ergonomics. Thanks to their maximally reduced cylindrical design, the taps harmonise both with the Kartell by Laufen complete bathroom concept, and with other bathrooms with modern design language. 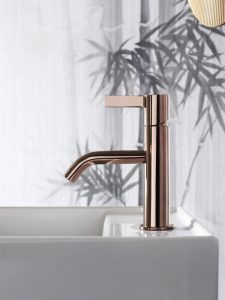 Together with the classic version in chrome, the Kartell by Laufen washbasin taps are now available in the UK with a PVD coating in three new colours; stainless steel look, brushed anthracite (black) and copper. 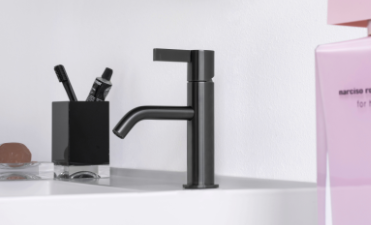 The PVD (Physical Vapour Deposition) coating lends the taps both a beautiful appearance and a special resilience. Taps with PVD coating demonstrate a very high level of hardness, and so are particularly resistant to wear. Thanks to the coating the smooth surface not only looks elegant but is also easy to clean. Hotel Designs has enjoyed a record-breaking month, with visitors to the website in April topping 49,000. 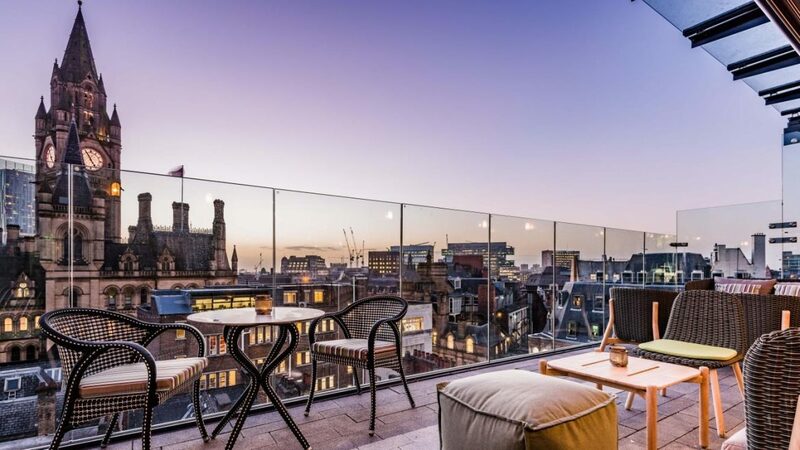 It’s an 18 per cent leap on traffic generated by the site over the previous month, with Hotel Design’s social media channels also seeing a boost – Twitter followers now stand at over 13,000; with Facebook and Instagram figures both exceeding 1,500. 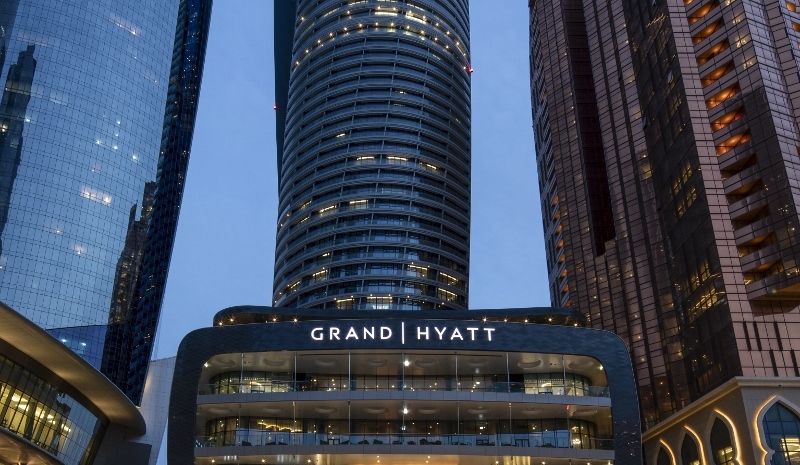 During 2018 Hotel Designs continues to build on that community, with the March Meet Up event selling out. 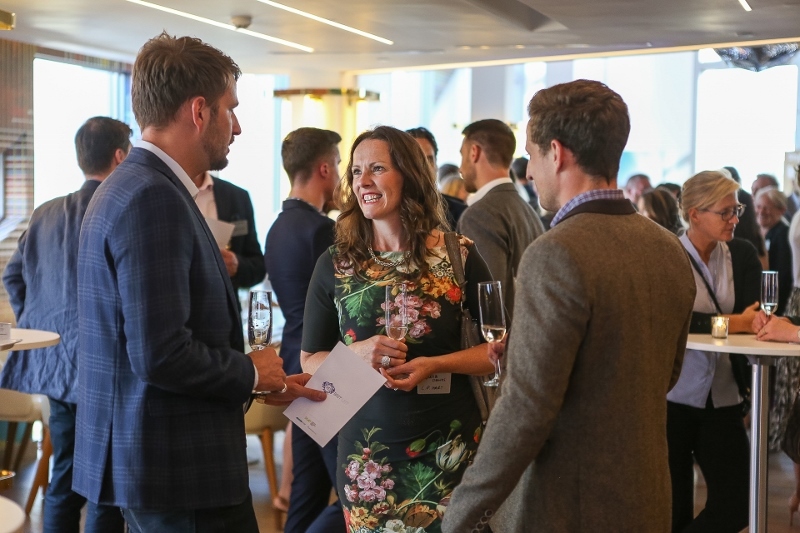 The Meet Up heads north this summer, with 200+ hoteliers, interior designers and architects expected to attend the networking event at King Street Townhouse, Manchester on the evening of July 18th. For ticket enquiries click here. Meanwhile, the Hotel Summit takes place on June 4th & 5th at the Radisson Blu Hotel, London Stansted. 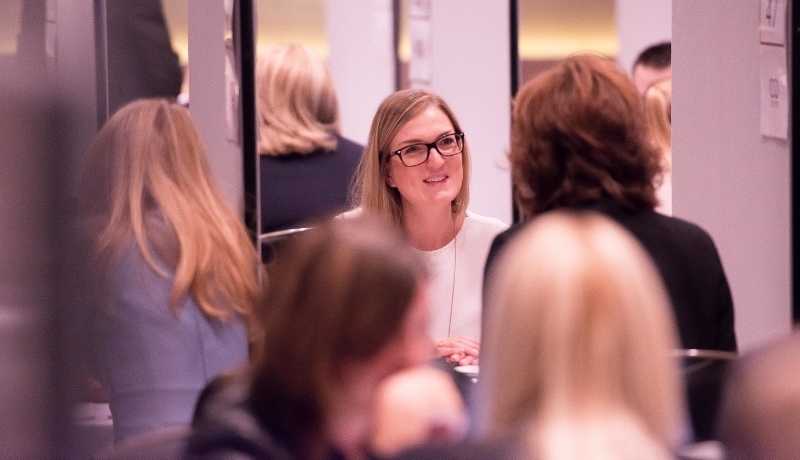 This unique event matches hoteliers with suppliers for a series of pre-arranged, face-to-face meetings. Find out more here. Hotel Designs recently caught up with Bee Osborn, owner of Osborn Interiors to discuss her design process and why it is so important to believe in your own ability. Bee has been an interior designer for over two decades. She draws inspiration from classic design and proportion. 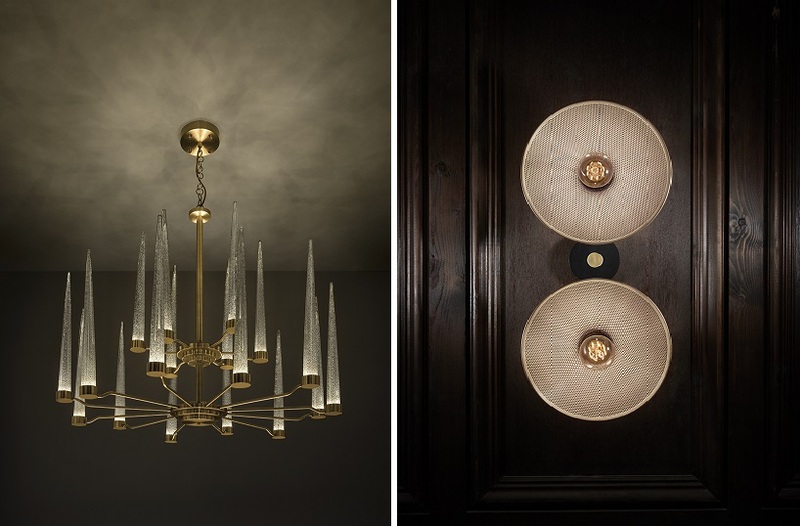 She is extremely passionate about lighting and considers is a vital element of any project. How did you get in to the industry and why? Bee Osborn: About 20 years ago I started buying and selling houses as a way to make ends meet and support my two young daughters. Often when I did up a house to sell, friends would ask me if I could help them decorate theirs. Eventually after years of being asked this I plucked up to courage to help a friend decorate her house from top to bottom, one thing led to another and before I knew it, it became a full time business. Do you believe that training on some level is important or that certain industry qualifications help you to win business? BO: Definitely, not only does it give you confidence in yourself but I’m sure it gives clients confidence in you too. Doing the Inchbald course taught me how to draw plans, elevations, perspectives, spacial planning, as well as learning about architecture & the history of design. 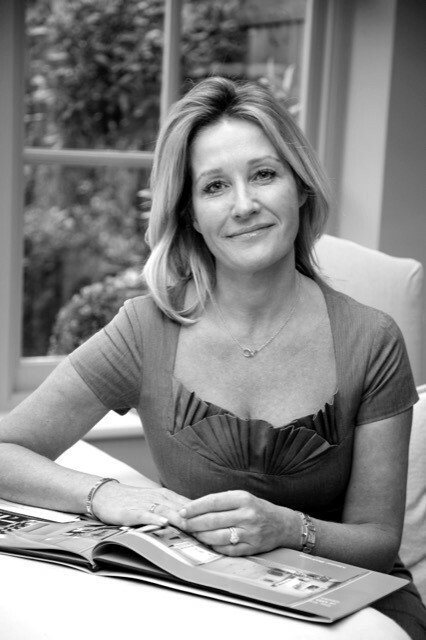 Despite years of doing interior decorating before completing the Inchbald course, the process took me to the next level and I really felt able to call myself an interior designer as opposed to a decorator. 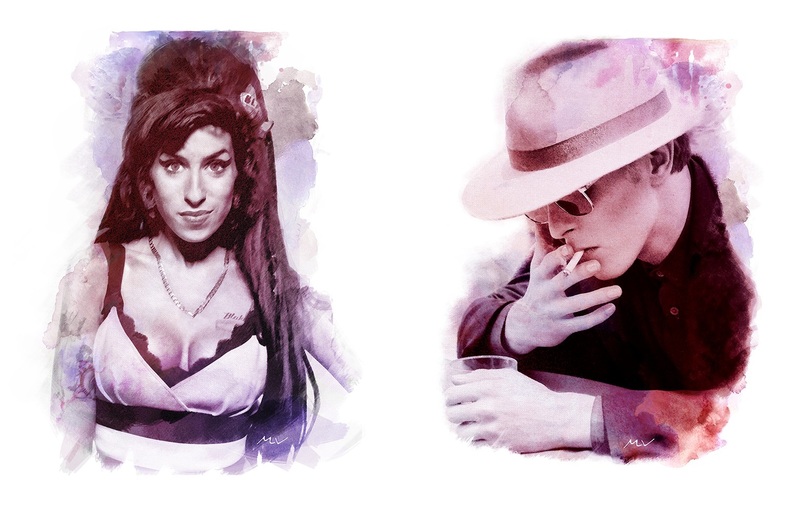 What or who inspires your design projects? BO: Any type of travel inspires me enormously. Just getting out and about and seeing new things, shapes and textures gives you ideas. Also the headspace you gain whilst walking, frees your mind to receive creative ideas. Other designers who inspire me are Veere Greney, Stephen Gamble & Anouska Hemple all for their bold designs that are traditional but with a contemporary twist. You have worked in this industry for a number of years. Over your time spent designing for both commercial and residential projects what has been your favourite and the one you are most proud of and why? BO: Hotel Le Toiny in St Barth’s. 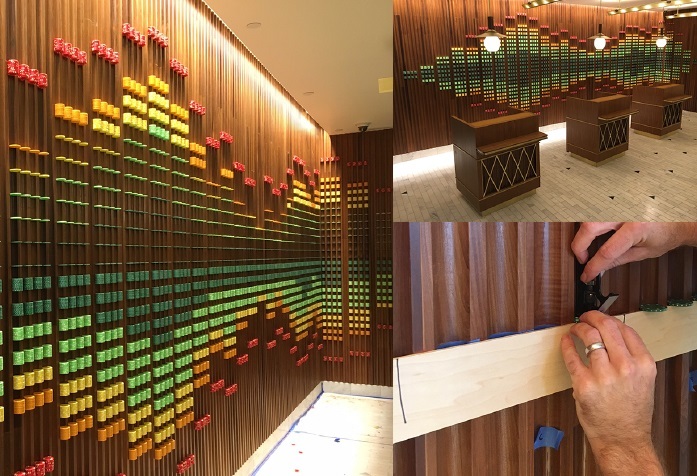 It had a very quick turnaround, from the initial site visit to the installation (incorporating the complete redesign of the entire hotel) was just 5 months. 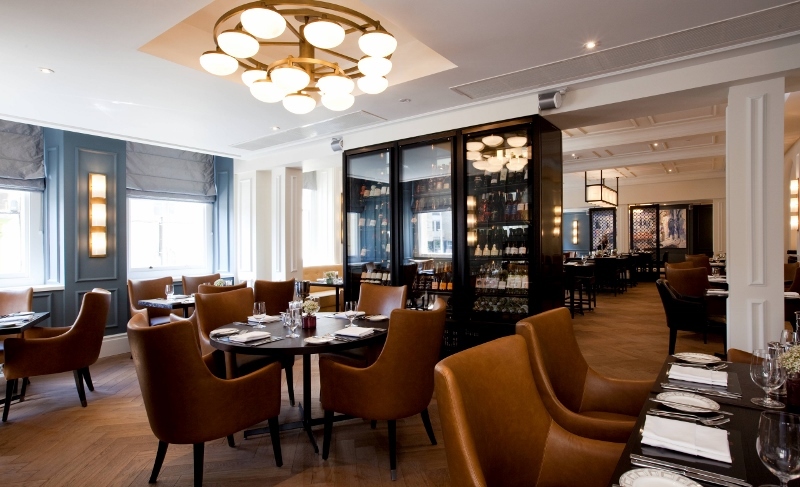 The client was very supportive and approved everything immediately and it was transformed from a dark, rather gloomy space to a light, calm, beautiful hotel. In addition we were able to use lots of wonderful materials: petrified wood, handmade linens, bleached sycamore, oyster shells, mother of pearl, antique mirror & lots of bespoke items giving it a unique, understated, luxurious look. It was an utter joy to work on, except the tight time frame meant I didn’t sleep for those 5 months! You have incorporated many of the latest technology and innovation offerings in to your designs – which has excited you most? BO: Hiding electronic chips into leather key fobs. It doesn’t impact on the design but does alert the PA system when a guest has left the room so that housekeeping and maintenance can go in freely. It also takes the lighting and air-con down to the minimum level, which reverts as soon as the guest re-enters the room again. It saves on energy without compromising on style. What is it that you like so much about a hotel design project? BO: The freedom to create exciting, comfortable spaces that people can dip into and escape from their everyday lives. Why do you believe lighting is so important to a design project? BO: Lighting is all about creating atmosphere and can make or break a scheme. 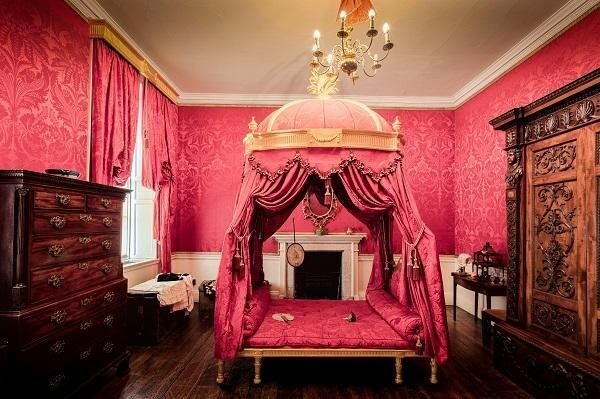 I believe it should be subtle, with pockets of light in layers from the floor to the ceiling. I like it when you hardly notice the fitting, and just feel the gentle light it emits. Ambient, accent and task lighting, are all equally important in creating a balanced, visually comfortable space. Can you make a project practical whilst maintaining something that is visually pleasing? BO: This is hard! Practicality can curb design, but on hotel projects it is very important to think comfort and practicality first. Obviously guests aren’t as careful when staying in a hotel as they are in their own home, so you need to consider this carefully. We use lots of indoor/outdoor fabrics to aid with spillages and wear & tear. We are mindful when choosing finishes for furniture and it is a constant battle of trying to achieve the look you want with a practical finish. In St Barth’s every single piece of upholstery had to have loose covers so it could be removed for washing. It is hard to create a sharp clean look with loose covers but not impossible. In addition, all 3,000 metres of the handmade linen that we used had to be pre-washed and shrunk before making up, which was a job itself! What is the biggest change you’ve witnessed since being an interior designer and starting out over two decades ago? BO: The increase of the digital world. From old fashioned physical mood boards that we used to present with, now it is all done electronically with presentations on iPads and CGI’s. With SketchUp models, clients being able to walk around the space and feel what it will be like before it is even built. However, some clients still love our hand drawn perspectives as they are so beautiful and softer than CGI’s. List 3 pieces of advice you would pass on to a budding interior designer who is just starting out? BO: Believe in yourself is my number one. Having a positive outlook too, even if things don’t feel positive at the time, fake it to make it. Both are key to any success in life. But as far as interior design is concerned, learning to be still and visualise, picture the space in your mind and hold it there, until it becomes a reality. Places are now open for the Hotel Summit 2018, which will be celebrating its 20th anniversary next year, at the Radisson Blu London Stansted on 4th-5th June. A unique event in the hotel and interiors industries, the two-day summit allows hoteliers and suppliers to meet through a carefully-selected itinerary of face-to-face meetings, engage with hot topics in the sector via a full seminar programme as well as forge new connections during numerous networking opportunities. 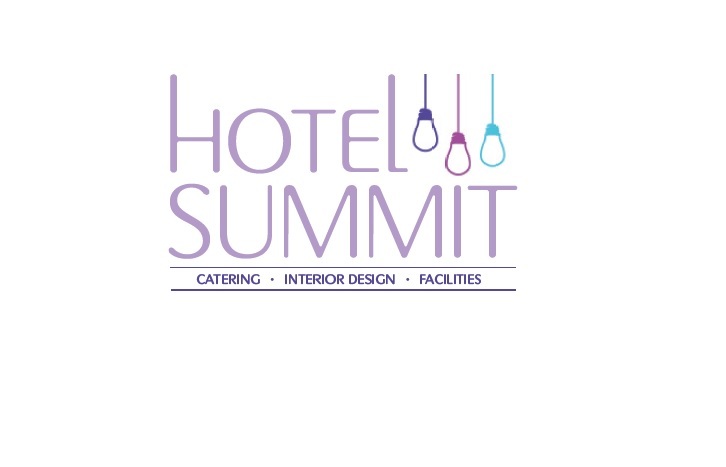 Sectors in the industry serviced by the Hotel Summit include bathrooms, fixtures & fittings, floors & lighting, furnishings, garden & exterior, spas, security and many more. As our VIP guest you will, of course, receive full hospitality throughout – including all meals and refreshments, overnight accommodation and an invitation to our gala dinner with entertainment. Join us at the stunning Home House, London and embrace the spirit of the Christmas holidays a little early this year as we usher in the end of the year with a celebratory bang at our Christmas Party. A chance to wine, dine and network with some of the most influential figures in hotels and interior design, the Christmas Party will take place at Home House, Portman Square in London on November 8th from 6pm until 10pm. As well as celebrating all that’s good about our industries and those who work in them, as always we will be offering the opportunity to make new connections and catch up with old friends among the canapés. Meet up with professionals in a relaxed environment and sip down some Christmas spirit and look back on a year of uncertainty and change within an ever-moving industry. This will mark the third get-together in a year from Hotel Designs; an event popular with hoteliers, designers and architects, and offers a unique insight into the heart of the industry. And to add a special touch to this festive event, we are offering an opportunity for a design partner to ‘takeover’ the Winter Marquee at Home House – and bring a touch of yuletide glamour to the party. To find out more about this opportunity and how to get involved, please contact Jennie Lane on 01992 374098 or j.lane@forumevents.co.uk. Are you a supplier to the hotel and interiors industries? Click here to book your place or contact Jennie Lane at j.lane@forumevents.co.uk or 01992 374098. The next edition of the Hotel Designs Meet Up is just a few months away, and we are offering an opportunity for a design partner to ‘takeover’ the Winter Marquee at Home House. Hotel Designs has been working closely with interior designers and product suppliers for nearly two decades; cutting edge, impressive design is at the heart of everything we cover. With a blank canvas to create a bespoke design concept in line with the Christmas Party theme, this is a fantastic opportunity for a firm or studio to showcase their work in a room of senior figures from across the hotel industry and some of the most influential names in interior designers. As the lead design partner, there is also an opportunity to work with various suppliers to source products to build the concept. To find out more about this opportunity and how to get involved, please contact Jennie Lane on 01992 374098 or j.lane@forumevents.co.uk. Here at Hotel Designs, we like to provide content that is both engaging and useful for our audience. As we continue to move forward, we’d like to get some feedback from our readers in order to continue bringing you what you want to see. Our 2017-2018 reader survey gives you the chance to let us know what content you currently like and content you want to see more of, as well as suggesting other topics you would find the most useful. We are continuing to evolve the HD brand, so it’s important to us that we listen to what our readers want and need from the website. 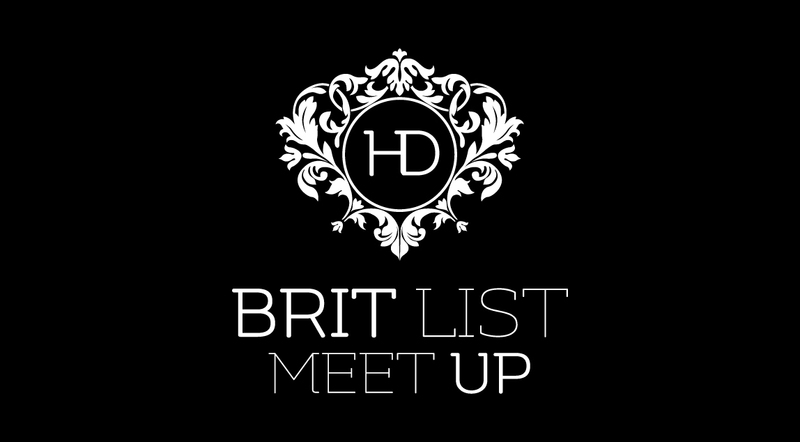 Hotel Designs is delighted to announce the Brit List, a celebration of the country’s most inspirational and influential hoteliers and designers. 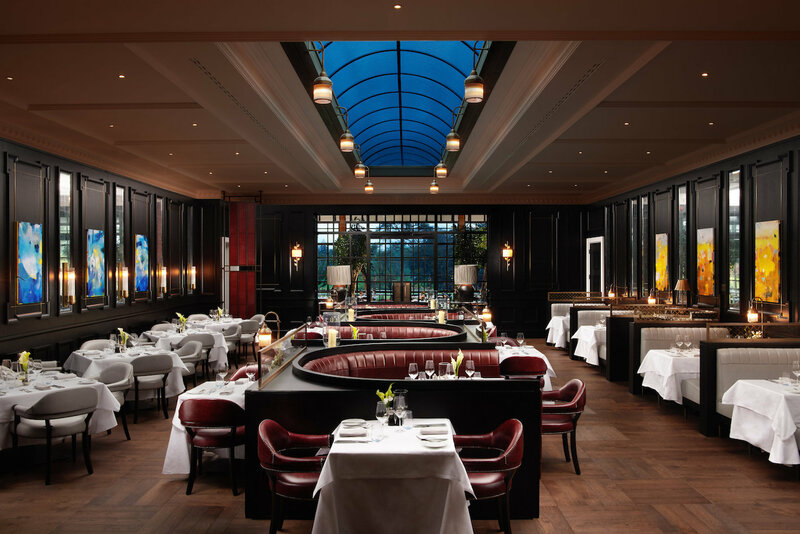 The Hotel Designs Brit List will be revealed via a glossy print publication this summer, with a party to celebrate the List taking place at Urban Coterie, London on Wednesday July 12th. Hotel Designs wants your help in selecting the UK’s top 25 hoteliers and 25 leading design professionals – by asking you, our readers, to nominate those you think deserving of recognition in both fields. 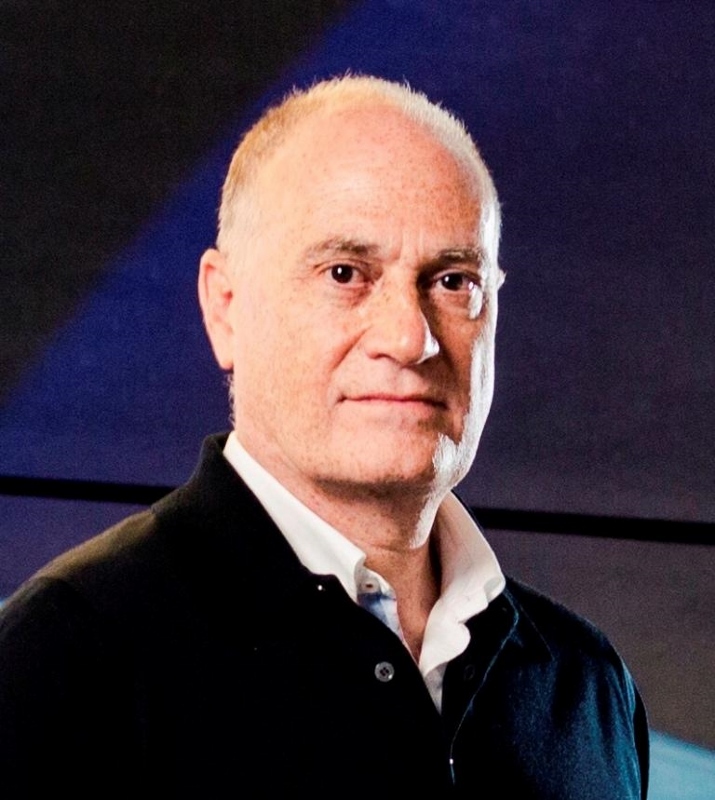 To lobby, simply email Hotel Designs editor Daniel Fountain via d.fountain@forumevents.co.uk briefly explaining why an individual should be considered for the Brit List. We will follow up with a request for more information at a later date. You can nominate yourself, a peer, a client or even a competitor. The closing date for nominations is April 3rd. 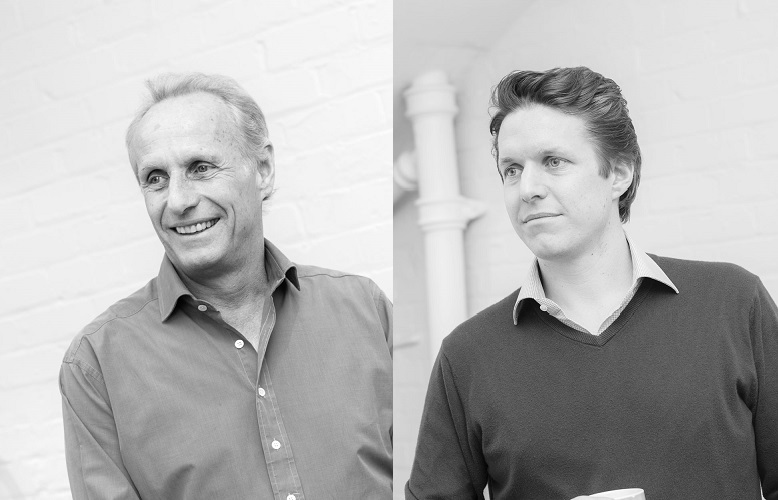 Once all nominations have been received, our Advisory Board judging panel – made up of figures from across the hospitality and design sectors – will select the final 50 most inspirational designers and hoteliers. 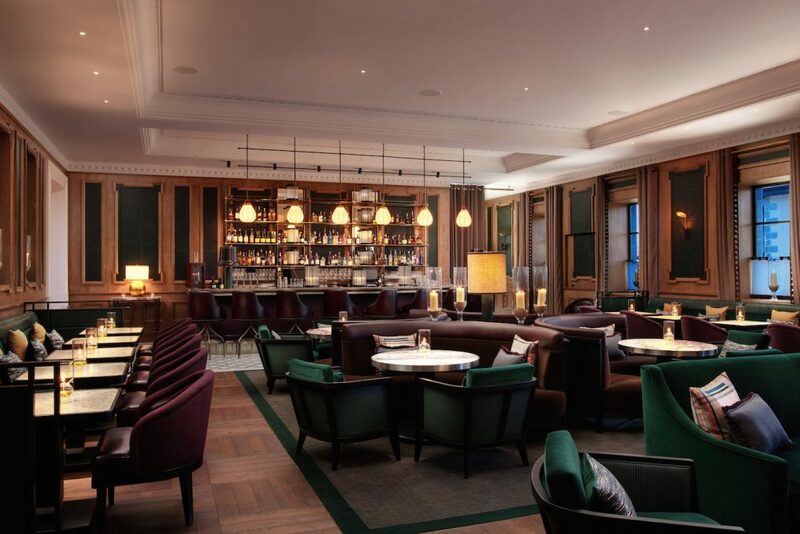 We’re just over a month away from the inaugural Hotel Designs Meet Up networking event, being held on 13th July at the Royal Suite at The Grange, St. Paul’s. 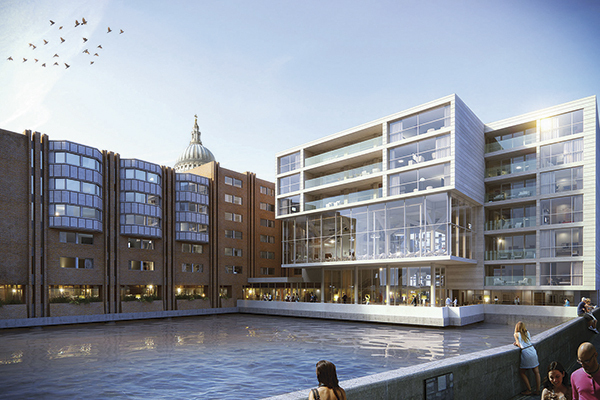 Already signed up for this first edition are senior designers from Twenty 2 Degrees Design, KAI Design and Black Box Interiors; representatives from hotels such as M by Montcalm and the Seraphine Group as well as senior figures from Genson Construction. 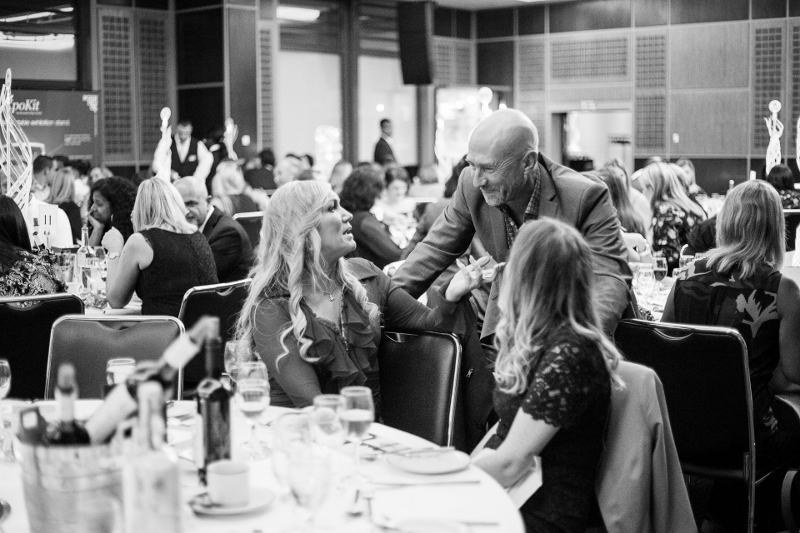 Do you want to meet with a host of senior figures from across the hotel industry and some of the most influential names in interior design? 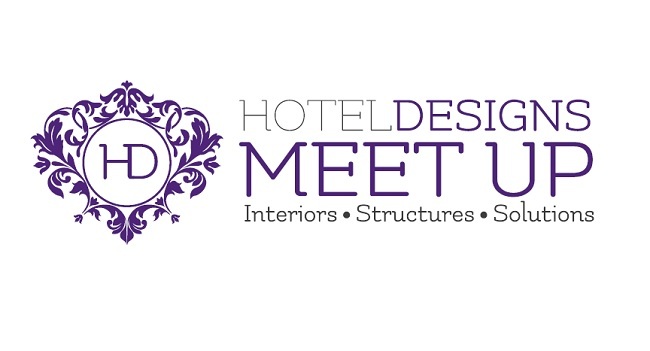 The Hotel Designs Meet Up is the perfect opportunity to catch up, meet and network in an informal and relaxed setting. Having a unique position at the heart of the industry, Hotel Designs can build events like the Hotel Designs Meet Up that deliver targeted audiences for its partners’ trade messages. For more information on attending the event, please contact Victoria Petch on v.petch@forumevents.co.uk or 01992 374082.